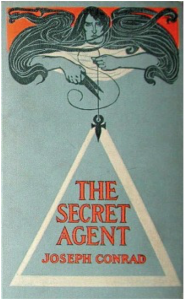 Published in 1907, Joseph Conrad’s The Secret Agent deals with the realities of terrorism in London during the latter Victorian period. Critics and the intelligence community alike acknowledge the sheer power and brilliance of Conrad’s evocation of the urban terrorist phenomenon. Indeed, his novel is as relevant today as it was in the Edwardian period, and still provides important lessons to understanding the psyche of urban terrorist organizers.